The hat is a tan fabric hat with the MRC blade logo in Green and Gold. The water bottle is made of aluminum and sports our green and gold logo. 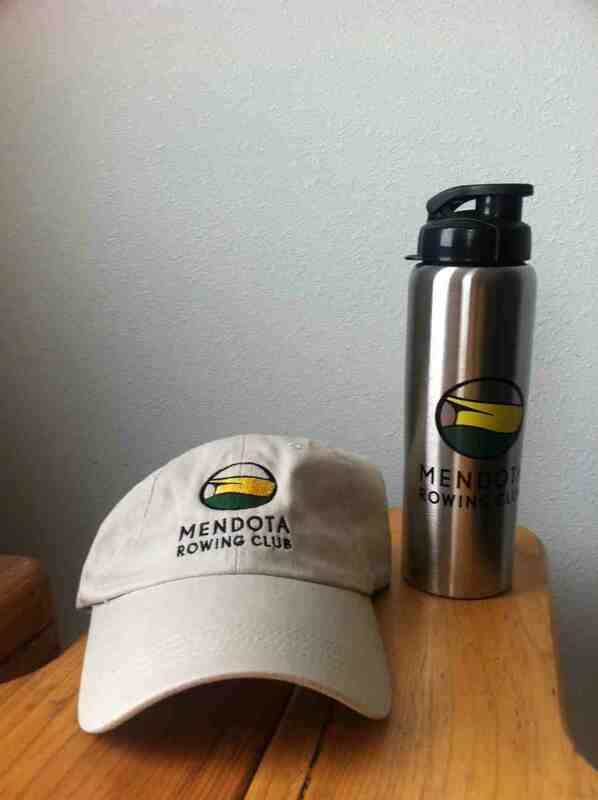 We have MRC water bottles and hats available for purchase. Orders can be picked up at the boat house during/after any coached workout or by appointment. For bulk orders use the "add guest" field and enter the total amount of your order minus one in the box.